Its the most wonderful time of the year! One of my favorite things to do on Christmas morning is spending time with the family, watching everyone take turns opening their stockings, listening to holiday music and playing with their gifts. I genuinely believe that the best presents don’t have to come in large packages. That is why I’ve curated a foolproof list of goodies that’ll hopefully inspire you to find a great last minute gift. From cosmetics and gadgets to chocolates, when it comes to the perfect present, size doesn’t matter, am I right? Best of all everything listed below cost $50 and under, now let’s get started with my 2017 best stocking stuffers for women! Beauty comes in all shapes and sizes, even though we can’t control our age, we can adjust our lifestyle, diet, habits and how we take care of our skin. These luxurious and practical minis will help slow down the signs of aging and get you started with a healthy skin care regimen. Both formulas are gentle, all natural and effective! Best of all they are the ideal travel-sized products and are great for trying out before committing to the full size. Rescue dry, damaged skin with this silky night serum. Himalayan goji berry boasts up to 19 amino acids to help optimise your skin’s appearance. Red raspberry seed oil blends with New Zealand blackcurrant, a rich source of essential fats like gamma-linolenic acid (GLA). South Pacific hibiscus flower freshens your complexion, while berry fragrance imparts pure joy. Daily Ritual: Apply at night to your face, neck, and décolletage before applying moisturiser. Native New Zealand manuka honey draws moisture to your skin to help bring a truly ageless visage. Revolutionary Vinanza Grape is a potent antioxidant extract from Marlborough sauvignon blanc grape seeds to help neutralise the effects of free radical damage that can lead to premature ageing. Daily Ritual: Gently massage cream into your skin. Antipodes lipsticks are some of the most natural and nourishing lipsticks I own, they’re so healthy I could almost eat them. Ruby Bay is a stunning cool red, perfect for Christmas day! The formula is creamy with a semi-matte finish and a hint of a shine. These lippies are super hydrating, highly pigmented and long lasting. Available in 12 fashion forward shades: Golden Bay Nectar, Queenstown Hot Chocolate, Boom Rock Bronze, Piha Beach Tangerine, West Coast Sunset, South Pacific Coral, Dusky Sound Pink, Dragon Fruit Pink, Remarkably Red, Ruby Bay Rouge, Forest Berry Red and Oriental Bay Plum. Abandon the ordinary and adorn your lips with this rich tint. Cool-based yet sumptuously, extravagantly, dazzlingly red. Get hands-free help around the house with the Google Home Mini. Powered by the Google Assistant, this smart voice-activated device gives you real-time help and answers by processing and responding to your voice commands. Simply say “OK Google”, and it will tell you the latest weather, news, play music, set your alarm, tell you jokes and more. Download the Google Home app on your smartphone to control your compatible smart home devices. Vela Candles is a Perth-based candle studio, specialising in ‘blank-canvas’ labels and luxury soy candles. They make the best quality candles for your home. Each candle poured is personally hand-made by Frances Tuohey and are made with eco-friendly soy wax and natural fragrance oil. Vela Candles is determined to provide stylish products for every customer, without breaking the bank. What makes us different is that we are affordable and we pride ourselves on giving you quality, handmade products. We can also create candles for special personalised gifts, corporate events, weddings, baby showers, birthdays, and more. Treat your loved ones this Christmas with this unique British classic chocolate. Infused with orange oil, this creamy melt in your mouth, smooth milk chocolate, unravels into bite-sized wedges. The ball is divided into 20 slices, similar to a real orange, all you need to do is Whack, Unwrap and enjoy. 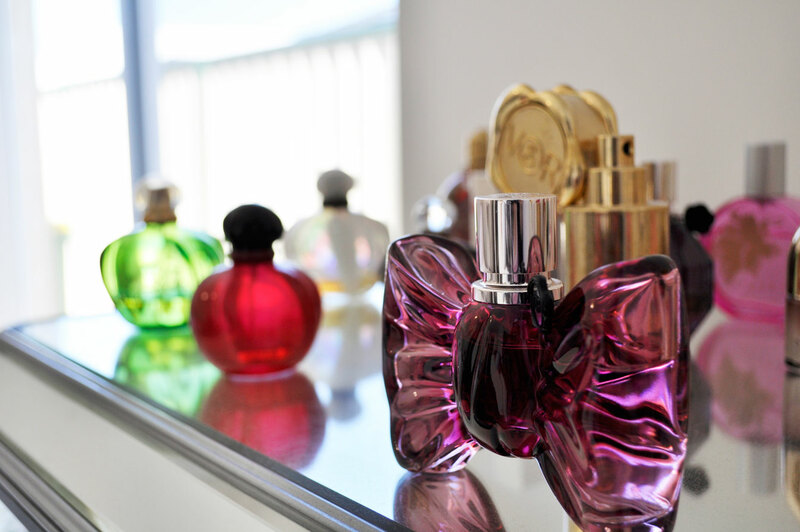 What are some of your favorite stocking stuffers? Let me know in the comments below! Haha Terry’s Chocolate Oranges are fantastic! I love antipodes, I want the company to adopt me!!!! Lol 🙂 You are so funny! The Antipodes minis are brilliant! The Antipodes lipstick looks perfectly festive! Haha I won’t 🙂 I plan to wear the Antipodes lipstick on Christmas day! I kind of want a Google Home or Mini, they sound really interesting!!! We use it all the time at home. The kids love it too, they are constantly asking it to play music, questions about the universe etc.. It comes in so handy! I’ve never had a chocolate orange! 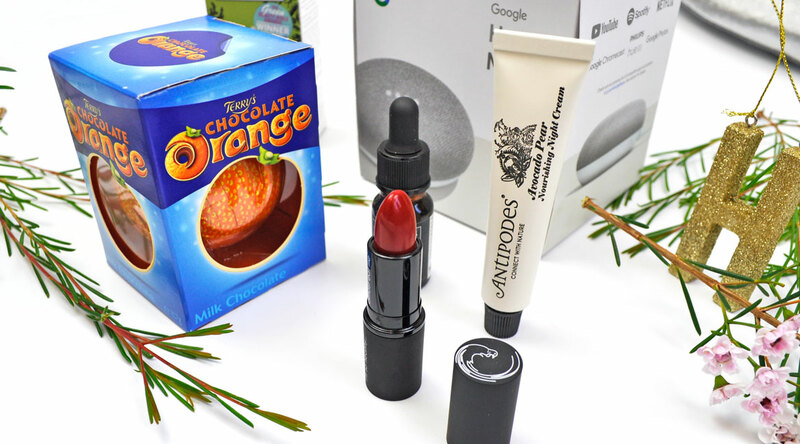 I totally need to try – loving the Antipodes minis and would happily unwrap a Google Home!! Have a Merry Christmas, Amy! May your stocking be filled with tons of beautiful things, as those you have shared with us all throughout the year! May 2018 be a great year for you and yours. Thank you so much Cheryl! Merry Christmas and have a wonderful New year. I really want to try those chocolate oranges!